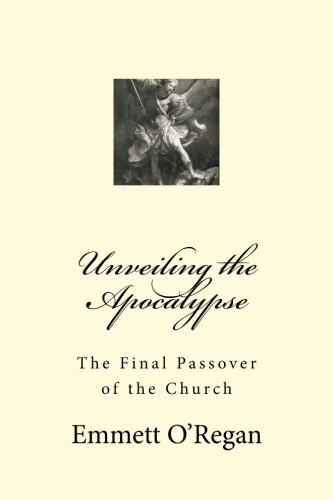 As long time readers of this blog will know, both myself and English author Stephen Walford have repeatedly encountered a very vocal opposition to our respective works on eschatology, which directly stems from the followers of Fr. Joseph Iannuzzi (see here). In the aftermath of Fr. Iannuzzi's attempt to take legal action against me in April 2017, I decided to investigate him in greater detail, and over the course of the past year, I have turned up some rather unsettling findings. Fr. Iannuzzi had originally threatened to take legal action against me for publishing a letter from the Archbishop of Trani on my blog which confirmed that he had breached the moratorium which was placed on the writings of Servant of God Luisa Piccarreta (see the posts on this subject here and here). Egregio Signore, pace e bene. P. Joseph Iannuzzi ha chiesto più volte l'esclaustrazione, passando da una diocesi (o comunità religiosa) a un'altra, rendendo praticamente impossibile controllarne la condotta. Da parte sua, da anni non dà ai Superiori relazione delle sue attività. Attualmente è fuori comunità senza permesso. Distinti saluti, p. Giocondo A. Bronzini, segretario generale OSJ. Dear Sir, peace and goodness. Fr Joseph Iannuzzi has asked many times for exclaustration, moving from one diocese (or religious community) to another, making it practically impossible to control his conduct. For his part, for years he has not given the Superiors report of his activities. He is currently outside the community without permission. p. Giocondo A. Bronzini, OSJ general secretary. So even before his departure from the OSJ without the permission of his religious superiors, Fr. Iannuzzi had repeatedly sought exclaustration in order to flit between dioceses or religious communities, so that he could diffuse his own unique brand of Catholic eschatology as widely as possible. This was facilitated by organising and participating in Marian conferences that were largely unregulated by the local dioceses, and simultaneously driven by an unhealthy undercurrent of spurious private revelations. The iterant nature of his ministry, which he ensured was largely unregulated by his religious community for several years before his departure, meant that his conduct was practically impossible to control by his religious superiors or the local ordinaries of the dioceses in which he was operating. Sacred Scripture teaches the human family what the experience of the ages confirms: that while human progress is a great advantage to man, it brings with it a strong temptation. For when the order of values is jumbled and bad is mixed with the good, individuals and groups pay heed solely to their own interests, and not to those of others. Thus it happens that the world ceases to be a place of true brotherhood. In our own day, the magnified power of humanity threatens to destroy the race itself. The concept of a future earthly millennial kingdom of the resurrected saints has been widely proliferated in American society and beyond within some circles of Catholicism and Fr. Iannuzzi’s academic credentials have elevated him to the leadership role in this nascent millenarian cult, which has been loosely termed as the "Divine Will Movement". This attempt to equate the period of peace promised by Our Lady of Fatima with an entire epoch of earthly material bliss after an invisible "middle coming" of Christ to reign in the Eucharist, is directly modelled on the eschatology of Joachim de Fiore, which was vehemently opposed by St. Thomas Aquinas (see Summa Theologica I-II, Q. cvi, a. 4) and was condemned by the Church in the Middle Ages. Fr. Iannuzzi threatened to litigate me in April last year for exposing the fact that he had breached a moratorium on the writings of Servant of God Luisa Piccarreta. This threat of legal action came almost immediately after I had published a letter from Archbishop Pichierri confirming his breach of this moratorium on my blog. Fr. Iannuzzi uses Piccarreta’s writings in order to support his own Joachite/millenarian views on the interpretation of Rev 20. After receiving this threat of legal action, I decided to be very careful, and conducted a considerable amount of research on Fr. Iannuzzi before publishing any other details on his rather troubling ministry. During the course of this research, I have discovered that Fr. Iannuzzi has a number of private business interests, including one in Jacksonville Florida operating under the name “Missionaries of the Holy Trinity”. The listings for this site found elsewhere on the internet cites Fr. Iannuzzi as the business owner, and it is clear that this is a civilly organised operation, in no way affiliated with the local diocese. He conducts this business operation from a property he has apparently privately owned in Jacksonville for a number of years. The content of the books he has published are heretical in nature, and as such, do not bear the imprimi potest of his religious superior in the Oblates of St. Joseph. The influence of these books in North America has been vast, reaching perhaps hundreds of thousands through his various disciples who have a notable presence on Catholic social media. As such, Fr. Iannuzzi can rightly be labelled as the de facto leader of the largest millenarian cult currently operating with impunity in the modern Catholic Church. Fr. Iannuzzi also owns a separate property at the compound of the Companions of Christ the Lamb in Paradise, Michigan, from where he conducts a separate business interest called “The Association of Priests, Inc”. If you click through the various annual reports of this organisation, you can see that Fr. Iannuzzi had originally used the same lawyer during the formation period of this business operation who he used to threaten both myself and Archbishop Pichierri - one Eric L. Hearn (see here). This particular legal document dates way back to June 2001. I contacted Bishop Doerfler of the diocese of Marquette about Fr. Iannuzzi's activities at the compound of the the Companions of Christ the Lamb, and he responded that he had no knowledge that Fr. Iannuzzi was the owner of a property there, or that he was conducting a private business operation from it. Bishop Doerfler confirmed that Fr. Iannuzzi had served in Marquette diocese for a short while between 2005-2006, but that was the extent of his knowledge about his ministry there. So why exactly does Fr. Iannuzzi still own a property in Marquette diocese if it has no knowledge of his activities there? And why is this private business organisation called "Association of Priest, Inc" organised at this address? As you can see from the annual reports linked to above, this business was previously located in Jacksonville, FL. Whilst the "Association of Priests, Inc" was in operation in Florida, it bought and sold a number of properties. The “Association of Priests, Inc” otherwise known as the “Association of Priests Corporation”, also lists Fr. Iannuzzi as its owner/operator. The Association of Priests, Inc was registered as a tax-exempt charitable organisation by the IRS (see here). Bizarrely, the following official LINCC site lists the Association of Priests Inc as a Protestant organisation headed by Fr. Iannuzzi, and stipulates that it was generating a yearly revenue of over $100,000 (see here). For example the tax form found here shows that Fr. Iannuzzi's Association of Priests, Inc pulled in net assets of $140,766 in 2002. In 2003 it was $123,337 (here). In 2004 $101,763 (here). He then started reporting losses in 2005 with net assets dropping to $34,121 (here), around the same time he shifted to Marquette diocese. The following site here shows that the Association of Priests Inc was given a grant of $10,000 sometime around the year 2015 by the Vanguard Charitable Endowment Program, which may be indicative that it receives such a grant on a yearly basis. This other website here shows that it was given two separate grants of $12,000 and $10,000 in 2016. I have asked Bishop Doerfler to investigate this matter further, since his diocese is not benefiting in any way from these charitable grants. The fact that Iannuzzi is conducting such a destructive priestly ministry without the permission or regulation of any ecclesiastical authorities is an enormous concern. Especially when this ministry is pulling in revenue from a variety of sources, including online donations, attending seminars and book and DVD sales. This revenue appears to enable Fr. Iannuzzi to travel all over the world in order to promote his millenarian eschatology to thousands of unsuspecting Catholics who are unfamiliar with the actual teachings of the Church on this matter. He does so at various Marian conferences or talkshops in religious communities, and frequently travels with Vassula Ryden in order to support her ministry, despite the fact that the CDF issued a notification against her in 1995 for espousing millenarianism (see here and here). The disturbing nature of Fr. Iannuzzi’s renegade priestly ministry, combined with the sheer fanaticism of his followers presents a very grave concern. This situation has gone on for way too long, and now needs to face proper public scrutiny. Why has this priest been allowed to act with impunity for so long without being condemned by the relevant Church authorities? The fact that he has created such a cult following for himself is deeply troubling, and the sooner the various heresies he espouses are finally addressed by the Congregation for the Doctrine of the Faith the better.